Between the pasta, bread, and wines served you will be transported into a whole new world. Step into one of the best Italian restaurants in NY and you will definitely feel as though you have left state and landed in Italy. Scalini Fedeli-Tribeca is one amazing Italian restaurant in the heart of Manhattan. This place has a lush and ambient interior complete with some amazing furniture to ensure your comfort. It is designed to be the perfect setting for a romantic dinner date. You will enjoy their sumptuous and mouthwatering Italian cuisines along with their wide range of some of the best wines. 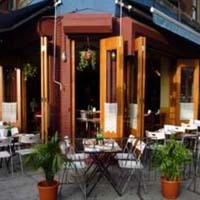 This place in NY is set to make you appreciate Italian cuisines and you will with no doubt be a satisfied person. The Cipriani restaurant is a chain Italian Restaurant with branches throughout New York. This restaurant offers a great experience with the Italian culture and cuisines. The various Cipriani restaurants in NY offer different experiences with different types of settings. 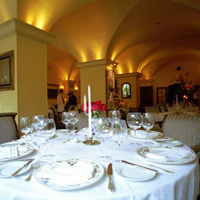 A laid back casual setting to a high class, swanky setting are all variations in the different Cipriani restaurants. One thing that you will appreciate in all the Cipriani Restaurants is that they have great service and some of the best Italian cuisines. You will love it at Ciprianis. 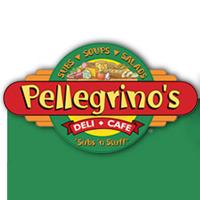 The Pellegrino's Deli is an amazing Italian restaurant in New York. This place offers some of the best of Italian delicacies which includes wraps, chilli, breakfast sandwiches and so much more. They are out to make your experience of Italian cuisines and culture memorable and exciting. They have a great staff working at the place in NY. The staff is friendly and kind. You will enjoy the service at this place. So if you crave some Italian food in NY try this place. 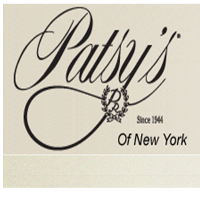 The Patsy's restaurant is a great Italian restaurant in NY. This place has some of the best Italian delicacies. The menu at this place is bound to impress anyone. Their collection of the best wines is something so great that you will love being here. Patsy's restaurant has a swanky and ambient interior. The design of this place makes it a comfortable place where you can enjoy your food and drinks. So if you are looking for an Italian restaurant for that special date, Patsy's is the place for you. Named after a wild herb from Tuscany, Pepolino offers a great experience of Italian cuisines while giving a virtual sense of the Italian culture. This place in NY will give you an experience that cannot be matched. Patrizio Siddu, the chef and owner of Pepolino, has a liking for Italian herbs, especially the pepolino herb. His cuisines offer a variety of herbs which is his signature in any dish. 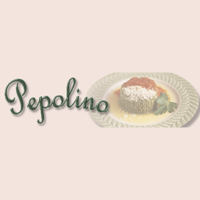 So if you are looking for an Italian restaurant in NY with a different taste in cuisine try the Pepolino Italian restaurant. Malatesta Trattoria is a great Italian restaurant in NY. This place has some of the best Italian cuisines that will satisfy any appetite. They have some great prices on their dishes and an amazing staff that is both friendly and polite. They will help you out in finding your way around the place and even in helping you with the menu. They have some great drinks and a comfortable interior. They have great cheese for the cheese lovers. You will love it at this place. So if you are looking for an Italian restaurant in NY you should try Malatesta Trattoria.